A delightful French food and wine gift box from the Normandy region ! With the latest delivery from La Gourmet Box, prepare to discover Normandy and, more specifically, the département of Eure, a land of amazing culinary riches. The peerless apple orchards and dairy farms of inland Normandy yield premium products and countless epicurean delights: jams, ciders, Pommeau, Calvados and other liqueurs for apple lovers, creamy treats like the famous teurgoule and Norman salted butter caramel, fowl enhanced by the region’s conscientious artisans... We were pleasantly surprised to find such an abundance of exquisite flavours, sure to delight even the most discerning gourmands. Bon appétit in Normandy! The Normandy Gourmet Gift Basket, a delicious food box for the most discerning gourmands! Artisanal Cider house: Domaine des Hauts Vents, Famille Caboulet. For three generations, the Caboulet family has worked a 16th-century farm, maintaining the tradition of making craft ciders from apples grown in their own orchards while using sustainable agricultural methods. You’ve probably tried French cider before, but this is different: the sophisticated nuances of rosé cider swept us off our feet when we tasted it. 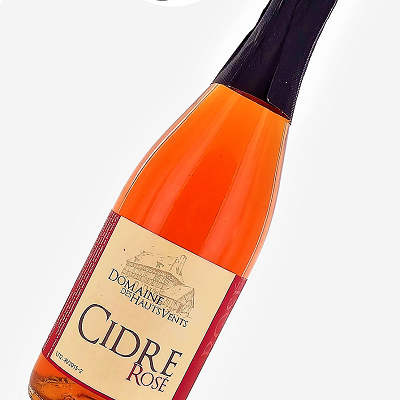 Made from a fairly tart red apple and mixed with other more conventional varieties, this perfectly balanced rosé cider is fruity yet incredibly smooth with a long, lovely finish... Magnifique! Artisan: Ferme de La Houssaye, Franck et Christelle Lavigne. 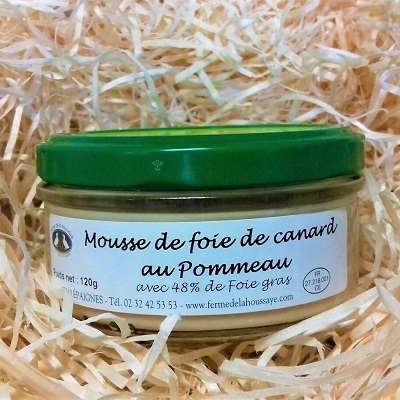 Ideal spread on toast, this duck foie-gras with Pommeau from the Ferme de la Houssaye is incredibly savoury: with no less than 50% authentic foie-gras made from ducks raised on the farm, it’s no ordinary foie-gras mousse. Plus, that dash of Pommeau, the region’s famous blend of apple-cider juice and Calvados apple brandy, gives it a genuine Norman kick! Foodies, prepare your toast! 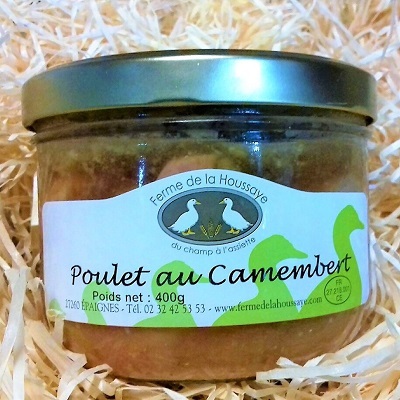 For more than 20 years, barnyard birds at the Ferme de la Houssaye have lived under the open sky, feasting on natural organically-grown feed made right on the farm. The birds are dressed and processed there as well (a hallmark of quality which, sadly, is increasingly rare these days), and thanks to their savoir-faire now you can discover or rediscover the traditional Norman flavours of delicious fowl smothered in creamy Camembert cheese. Genuinely farm-fresh ingredients combine to make a mouth-watering recipe, and when paired with the cider in this month's gourmet box, you’ve got a match made in heaven. Teurgoule is undoubtedly one of Normandy’s favourite desserts. It is a sweet rice pudding, usually seasoned with cinnamon and baked at low temperature for a very long time (approximately 5 hours) in a purpose-made dish. By the time it’s done, you can hardly see the grains of rice! The Normans have a humorous saying about teurgoule: it takes 5 hours to make, 5 minutes to eat and 5 days to clean up. A true treat for any gourmand, especially when accompanied by a glass of cider... which fortunately we’ve supplied in your gourmet gift basket! Artisan: Ferme cidricole Le Pressoir d'Or. Our artisan’s orchards are cultivated using the PFI (Integrated Fruit Protection) method. This system involves the regular production of quality fruit by working in harmony with nature, relying on insects to provide natural pest control and allowing the apples to thrive without artificial pesticides. Approximately thirty beehives are placed around the orchard to promote blossom pollination. 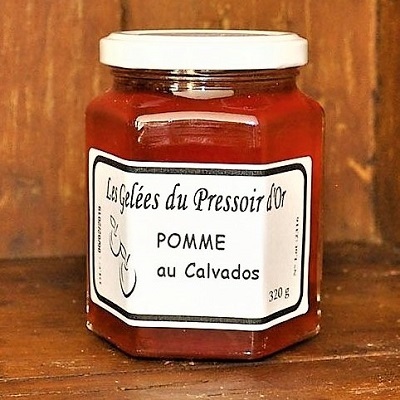 The apples picked in that orchard are transformed into this delicious, typically Norman jelly enhanced with a splash of Calvados, Normandy’s famous apple brandy: great flavour without the hangover! As you will soon discover, it tastes exquisite on bread or toasted brioche and can also be used to give dairy products a flavourful twist. If there’s one dessert in Norman cuisine that people are madly passionate about, it’s butter caramel cream. Ideal on crepes, brioche or, best of all, your finger, this genuinely artisanal product is made from cream and premium Normandy butter, with no artificial colouring, preservatives or aromas. If you’ve got a sweet tooth, this treat will make you jump for joy! Artisan: Ferme Domaine du Framboisier, Famille Prevost. 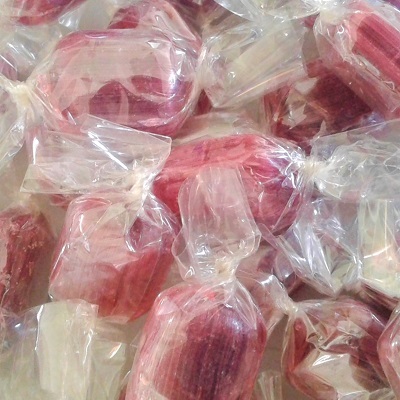 In the Risle valley, the Prevost family started out with an organic raspberry farm and gradually begun turning their fruit into mouth-watering morsels, starting with these gourmet sweets. Once you break through the crunchy exterior, prepare your taste buds for an explosion of flavour as the Meeker raspberries work their extraordinary magic—sheer pleasure! Bon Voyage in Normandy ! C'est le troisième coffret gourmand de mon abonnement et je dois dire que je ne suis pas déçu ! 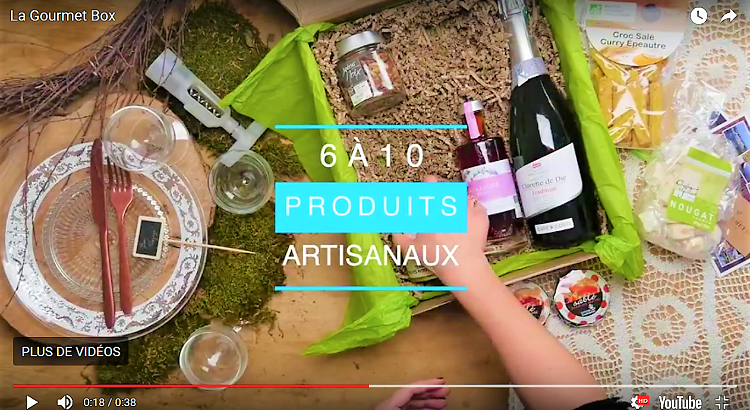 Le coffret est toujours aussi soigné et les produits délicieux avec encore une fois de jolies découvertes comme la teurgoule ou le cidre rosé. J'attends avec impatience le suivant !